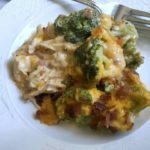 One dish or casserole meals are one of my favorite parts of following the Keto diet plan. 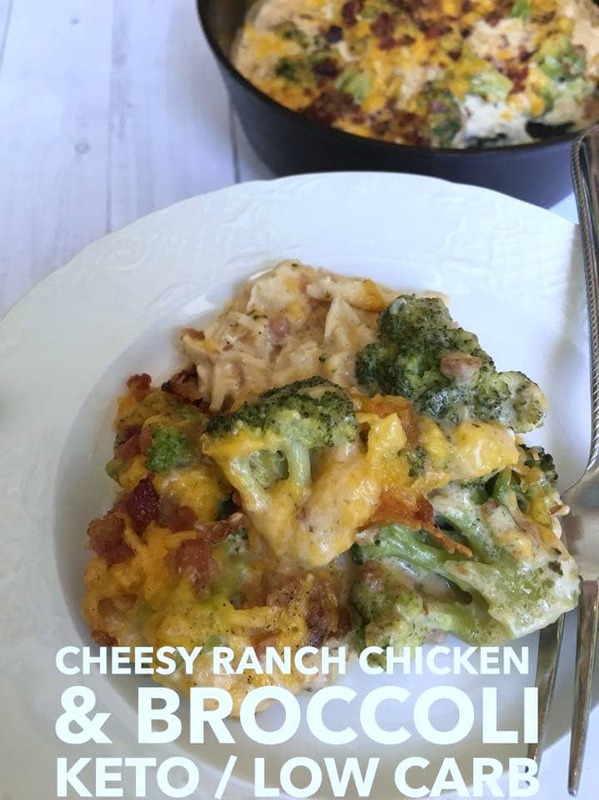 This Keto Cheesy Ranch Chicken Bacon Recipe with Broccoli is going to become a standard recipe in your rotation. Full of delicious flavors, and super easy to throw together! Growing up my mom used to make a Chicken Divan casserole that I absolutely loved…….until I found out that one of the ingredients was mayonnaise. I absolutely hate mayonnaise. I could be tortured with it and tell every secret I know. Ha!! Every chicken and broccoli casserole recipe I found on Pinterest included mayonnaise as an ingredient. I’m sure you can’t taste it, but I just cannot bring myself to open a jar, smell it, and add it to something I am going to eat. Seriously, I’m like a 2 yr old picky eater. So, I put on my experimenting hat yesterday and started working on a new recipe that would remind me of my mom’s old recipe that was keto friendly and didn’t require mayonnaise. My trusty taste testers (the hubs and kiddos) loved it! In fact, my husband said he could eat the entire pan it was so good. My biggest requirement when I cook is that it has to be easy and keto friendly. I even made this for dinner before Wednesday night church and got the kitchen cleaned up before we left. That is an accomplishment! I hope you enjoy it as much as my family did! 4 oz cream cheese softened. I cooked my chicken first in a slow cooker on high for 3.5 hrs with a little chicken broth and salt/pepper. In an oven-safe skillet melt 2 tablespoons butter. Next, add ranch seasoning, cream cheese, heavy whipping cream, chicken broth, 1/4 cup crumbled bacon, and 1/2 cup cheese. Use a whisk to combine ingredients and cook on low for 5 minutes. If using a steam bag of broccoli follow directions on the bag to steam. Otherwise, steam fresh broccoli in microwave until it reaches desired tenderness while the ranch mixture is simmering. Add shredded chicken and cooked broccoli to ranch mixture and stir to combine. Sprinkle 2 cups cheese and 1/2 cup crumbled bacon on top. Cook in oven for 25 minutes then move to top rack. Cook on broil 2-3 minutes until cheese is bubbly and bacon is browned. The following nutritional information is based on making 8 servings. I use the MyFitnessPal App to calculate my recipes. You can check out my full list of the best keto apps to count macros if you are looking for something different to use on a regular basis. Don’t have a cast iron skillet? Amazon has great prices and they deliver to your door, which is a requirement of mine with 4 kids. 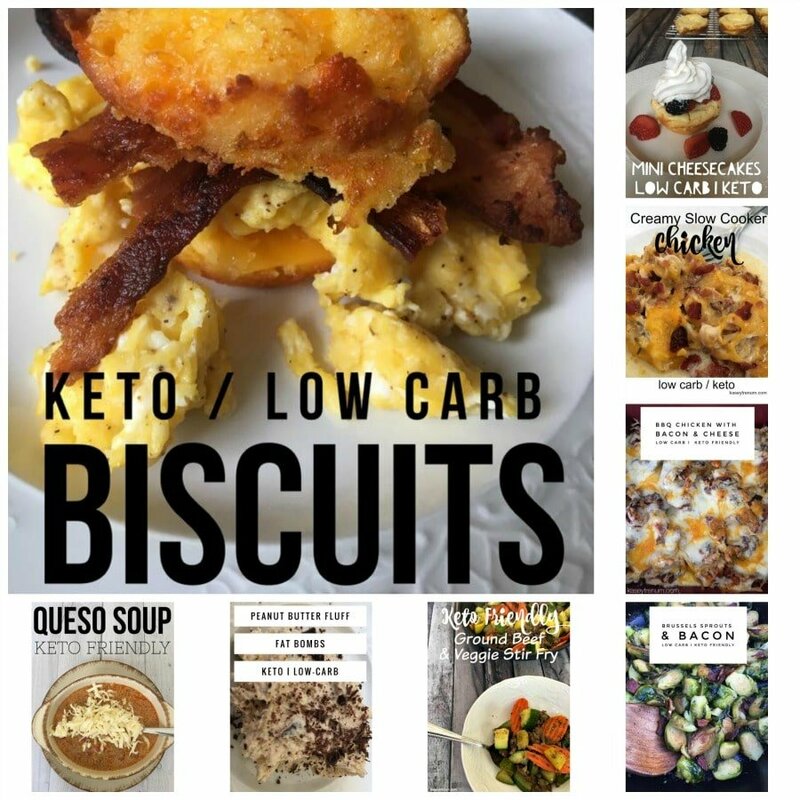 If you are like me and love variety, then you’ll love all of the great recipes I have added to my Keto Recipe Index. Search this index for amazing easy to create keto and low carb friendly meals that your whole family will love. Linked below are a few of our personal favorites! Can’t you just throw it All in the crockpot at once? I’m not sure I haven’t tried cooking it that way. Wondering if you can cook chicken on stove, and leave whole and put sauce on top, maybe put in oven for a few minutes. I’ve not tried making it that way but it sounds like a good way to tweak the recipe. Let me know how it turns out. Blessings! Yes u can! Except the bacon, do that last and crumble on top. It’s amazing! Thanks for the recipe. Thank you for this recipe. I didn’t have the ranch packet so used ranch dressing and added some celery and some Pensey’s Forward spice. This is absolutely delicious. Thank you very much for sharing it. This is my first Keto recipe and I’m a fan from the get-go! Awesome, Jan!! Glad you enjoyed! I am allergic to egg. So, no Mayonnaise for me and this option makes me happy. I browned chicken thighs, put them in a casserole dish and topped them with steamed broccoli, and then made the cream, bacon, cheese sauce as instructed. Poured the sauce over all, topped with cheese and baked. My family, including two teenage grandchildren, loved it! Stove top prep for chicken followed by mixed sauce as a topping sounds perfect to me. I’m not much of a slow cooker user. But I would try poaching chicken breast then shred and proceed per recipe. I look forward to this meal. Do you think this would freeze and reheat? I’d love to portion out for lunches, but I’m not sure it would reheat well? I’m not sure as I haven’t tried freezing it. We have reheated the next day out of the fridge and it was good. Did you try freezing it? i would like to know if it reheated ok.
My family devours it. I’ve never had enough left over to freeze. I did this start to finish in the oven. Sprayed a lasagna dish, put raw breasts down, topped with broccoli, then the mixture, then the cheese. I baked at 375 for 40 min then took it out threw crispy bacon on it and cooked for 5 more min. I did temp the chicken to ensure it was cooked properly. This is amazingly delicious! Did you use fresh or frozen broccoli? I know you said you used the steamer bag of broccoli, but about how much broccoli do you use for this recipe? 2 pounds? A steamer bag is about 10 oz or so that may be close. It will still be really good with more or less. So glad you enjoyed it! The recipe is based on 8 servings. Do you put anything in the crockpot with your chicken? I always add chicken broth so that the chicken doesn’t dry out and it’s more flavorful. I did not measure out the servings exactly. We liked this, but it certainly was NOT Chicken Divan!! No lemon juice or curry powder in it. And chicken divan doesn’t include bacon. Isn’t it interesting how recipes can be so different to each individual as I’ve never had Chicken Divan with lemon juice or curry powder as an ingredient. Some recipes for Chicken Divan include rice while others do not. I love how a recipe can be interpreted and personalized. The bacon was added to add fat to make it more keto friendly. We had Divan with lemon juice and Curry as a kid too… This recipe is SO GOOD. Being Keto eating meat and mostly veggies… This recipe was such a comfort food! So glad you loved it and it tasted like comfort food. I can’t wait to try this recipe but I just wanted to know if eating Keto is Renal friendly? I’m not sure, Jessica. You would need to consult your doctor for any kind of medical advice. I love this recipe! Amazing taste and it makes eating keto feel fancy with this one! Can’t wait to make it again for guests. I’m so glad you enjoyed it! Thank you so much for taking the time to comment. What size dish did you cook this in? It was probably a 9 or 10 inch cast iron skillet. I can’t remember which one because I have both. Looks so good! I plan on making this tonight (right now actually) how much broccoli did you use for this? Thanks! I think a steam bag is 10.8oz. Loved this recipe! Made it this evening and the family loved it!! Definitely going in my top recipes! Thanks for sharing! I’m sure it probably could, but I haven’t tried yet. Have you tried this in the instant pot? If so, how long to cook? I haven’t tried it so I can’t say. How much is a serving? I was measuring out a cup, but wanted to get your input. This is delicious! I didn’t measure the exact amount for each serving, instead I just divided it into equal sized servings. I’m so glad you enjoyed it. I see the recipe makes 8 servings. I am unclear about one thing. Is the nutritional information based on the entire dish or just one serving (1/8) of the dish? The nutritional info is per serving. Is the crumbled bacon raw or cooked when you add it on the skillet and when you put some on top ? 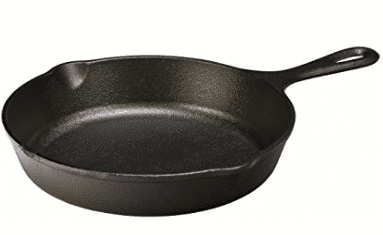 CORRECTION – “in the skillet” not “on the skillet”. The bacon crumbles I used were already cooked. This is really an mouth-watering recipe! Keep sharing!! Thank you, Annissa! I’m so glad you enjoyed it. I just made this tonight and it was DELICIOUS! So easy. Thank you for the wonderful recipe. My husband loved it! Alright… I made this and fell deeply in love! I decided to recreate it for a completely different dish so I don’t get sick of making it so much. My Tex mex style version is substituting the bacon for chorizo, substituting the ranch mix for taco seasoning, substituting the broccoli for bell pepper and jalapeños. Came out amazing! But I still love the comforting flavor of the original. 😉 just thought I’d share. Gracious, that sounds amazing! Thanks so much for sharing. I may need to try that as well. Any idea how much a 1/2 packet comes to…like in cups or TBSP?? Can you put into the oven without steaming the brocolli first? I have only tested the recipe as written so I’m not sure. What kind of cheese do you use for this recipe? I use whatever I have on hand usually but when I created the recipe I used cheddar. This is my new, favorite Keto recipe. Thank you so much! It’s delicious! Can I get everything ready before hand and then put it in the oven just before we’re ready to eat dinner? Just to clarify this would be going through the entire recipe but just not putting it in the oven until we’re ready to eat. Thanks! Sure! The cook time might be a little longer but it should work just fine. Kasey, have you ever made it using canned chicken? I have not. I don’t personally like canned chicken so I haven’t tried it. Hi, I was just wondering… What are the measurements for the sauce? The post includes all of that information as well as the details to prepare this recipe. How much is a serving? Half cup..cup? I didn’t measure it I just divided it into equal sized servings. Have you ever tried using a rotisserie chicken from the store? I haven’t but several people have commented on FB and said they did and it turned out perfectly. It would be a great shortcut for sure. Yay! I’m so glad it was a hit. I can’t stand mayonnaise either…cant wait to try this!!! Perfect! Glad you loved it! If you search ranch dressing mix on Pinterest there are tons of recipes. How much broth do you use per lb of chicken when cooking chicken in the slow cooker? I always use too much and I end up having to drain it(when I do bbq sauce for sandwiches, but I’m always afraid I won’t use enough and it will dry out. Thank you! I don’t measure it I just pour it in then drain off any excess I don’t need. Made it with Greek seasoning package as I didn’t have ranch, very salty and very delicious and added spinach for extra greens. Oh my gosh! This was amazing! My 5 year old was refusing to try it, one bite in and she loved it! Hubby and my one year old loved it too! So glad you enjoyed it, Stacy!! I made this last night and loved it! It will now be a part of my regular menu! Thank you! Awesome! One of my family’s favorite too!! I’ve gotta ask. Have you ever tried it without steaming the broccoli? A somewhat more crunchy type result. We love broccoli but prefer it to not be mush when cooked. That’s why we do a lot of stir fry’s. I haven’t because I don’t love raw or super crunchy broccoli but it is certainly an option if you prefer your broccoli crunchier. Seriously difficult to stop at one serving! This is so yummy! I know you said it is 8 servings, but what is a serving? A cup – 2 cups? I have no idea I don’t measure I just divide it evenly. I’m making this for tonight’s supper. I added diced onion to it. This recipe was fabulous! I doubled it and cooked in a 9 x 13 dish hoping to have leftovers for lunch later this week. It was such a hit with my husband and three sons that the entire dish was devoured in short order. My oldest son said that this was now his favorite dish and my husband said that it was definitely a keeper that needed to go in the dinner rotation. We have enjoyed every one of your recipes that I’ve tried. They are easy, delicious and use ingredients that I normally have in my pantry. I started eating keto in December and am still learning but really enjoy using your website as a resource. Thanks! I made this as part of my meal plan this week. With a couple of modifications (less cheese and peas instead of broccoli ?) this dish was absolutely delish. Thank you for sharing your plans and recipes! I am on week 2 and feel great! Hey JC glad to hear you are enjoying the recipes and feeling great!